Forbes has an article by James Conca about deaths per trillion kwh (1000 terawatt hours) by energy source. James is a senior scientist with the RJLee Group, and Director of their Center for Laboratory Sciences in Pasco, WA. The numbers are a combination of actual direct deaths and epidemiological estimates, and are rounded to two significant figures. I have adjusted prior numbers. Previously I had included coal for all uses electricity, heating and cooking. The units are 1000 times larger (1000 twh instead of twh.) than what I used. I had to adjust the coal deaths in China and world average. Previous numbers were for outdoor air pollution. This is 60% for coal for electricity, cooking and heating in China. Pollution is 30% from coal powerplants in China for the particulates and 66% for sulfur dioxide. Mining accidents, transportation accidents are mostly from coal for electricity. He cited Seth Godin for his article which was a summary of my article. Which I wrote back in 2008 and have updated several times. Worldwide solar production was at 33.2 TWh in 2010. Worldwide wind production as at 344.8 TWh output in 2010. 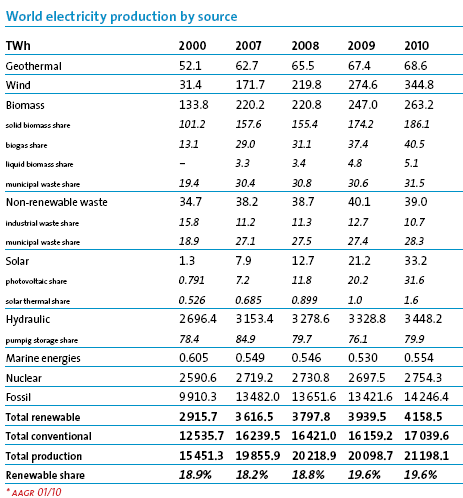 Worldwide hydro production was at 3,448.2 TWh in 2010. Around 20 articles on deaths per twh and lifetime deaths per twh. An update on the research seems to be that coal particulates are being contained better in China. Still not as well as in the USA. China is one of the few countries with some of the highest particulate matter levels in the world. However, only a small number of particulate matter health studies have been conducted in China. The study objective was to examine the association of particulate matter with an aerodynamic diameter of less than 10 μm (PM10) with daily mortality in 16 Chinese cities between 1996 and 2008. Two-stage Bayesian hierarchical models were applied to obtain city-specific and national average estimates. Poisson regression models incorporating natural spline smoothing functions were used to adjust for long-term and seasonal trends of mortality, as well as other time-varying covariates. The averaged daily concentrations of PM10 in the 16 Chinese cities ranged from 52 μg/m3 to 156 μg/m3. 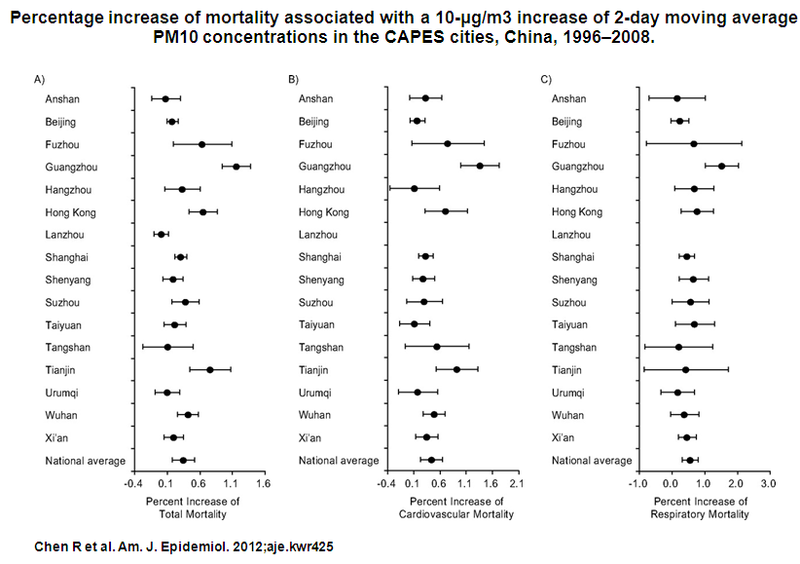 The 16-city combined analysis showed significant associations of PM10 with mortality: A 10-μg/m3 increase in 2-day moving-average PM10 was associated with a 0.35% (95% posterior interval (PI): 0.18, 0.52) increase of total mortality, 0.44% (95% PI: 0.23, 0.64) increase of cardiovascular mortality, and 0.56% (95% PI: 0.31, 0.81) increase of respiratory mortality. Females, older people, and residents with low educational attainment appeared to be more vulnerable to PM10 exposure. Conclusively, this largest epidemiologic study of particulate air pollution in China suggests that short-term exposure to PM10 is associated with increased mortality risk. There is a trend towards improvement in air quality in Chinese cities. – They are updating boilers and using low sulfur coal. – They are improving and increasing emission standards for powerplants and vehicles. NAP – According to 1997 data, coal combustion accounted for approximately 87 percent of SO2 emissions, 71 percent of CO2 emissions, 67 percent of NOx emissions, and 60 percent of particulate emissions. Yale Environment 360 (2012) has information on the sources of air pollution for Beijing. In January, a vice mayor of Beijing shared some figures for sources of Beijing air pollution. Of course, it is hard to independently verify these figures. But according to the local official, at least 22 percent is from car emissions, 16.7 percent from coal combustion, 16 percent from building and road construction dust and particles, 6.3 percent from industrial emissions, 4.5 from the burning of corn and wheat stocks and other activities in nearby rural areas. And 24.5 percent of Beijing smog comes from surrounding urban and industrial areas, including Tianjin and Hebei. That’s what the vice mayor says, anyway. Coal combustion as a result of electricity generation, industrial processing and residential use is a significant particulate source category for ambient PM10. Three subtype sources, namely MGSMY, PPMY and SMMY, were collected and the composite profile was constructed. MGSMY samples were collected at a power plant that uses gangue as fuel. PPMY and SMMY coal fly ash was emitted by coal-fired power plants and through residential use respectively. The three profiles for subtypes of coal combustion ash are all dominated by Al (6.3–17.9%), Si (9.8–10.3%) and TC (9–37.4%). The high variability of the three leading species indicates that subtypes of coal combustion ash can be chemically distinguished. This may be due to the use of different kinds of coal and different combustion patterns. 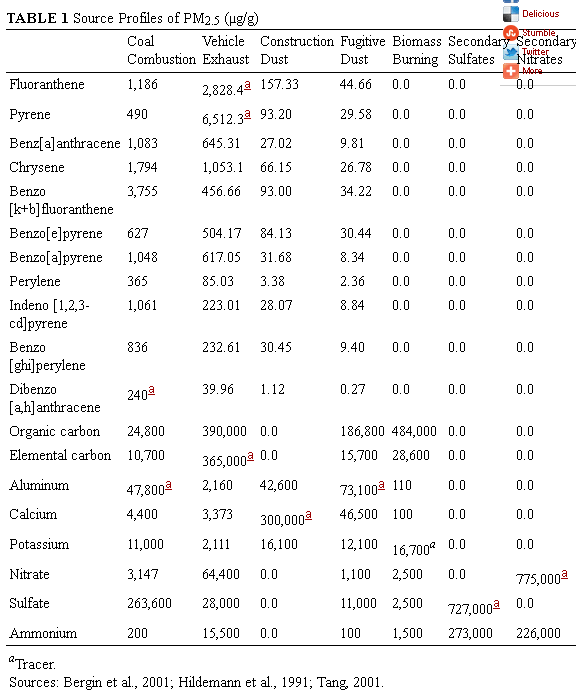 With regard to annual PM10, coal combustion ash is found to be the major particulate contributor, accounting for 25.8% of the ambient concentration. Iron and steel industry dust is the next greatest contributor, accounting for 19.5% of annual PM10. Vehicle exhaust and secondary SO42– are the two other significant sources, accounting for 13.7% and 12.2% of PM10 respectively. The four source categories constitute the majority (about 70%) of ambient PM10. Minor particulate categories include SOC (7.8%), geological dust (6.7%), construction dust (3.3%) and secondary NO3–, (2.7%). 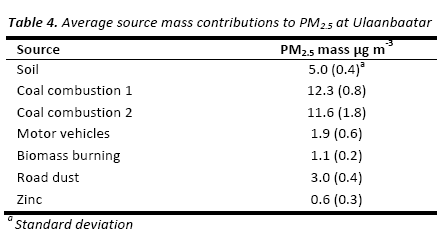 No more than 8.3% of PM10 mass was contributed by unknown sources. The range is for different cities and areas in China. The biggest and wealthiest cities Beijing, Shanghai, Guangzhou have the higher number of 22-25% for cars and usually coal plants and industry are less because the national government has put effort to shift from coal power away and to shift industry away from rich big cities. For coal, oil and biomass, it is carbon particulates resulting from burning that cause upper respiratory distress, kind of a second-hand black lung. Our lungs just don’t like burnt carbonaceous particulates, whether from coal or wood or manure or pellets or cigarettes. The actual numbers of deaths in China from coal use exceeded 300,000 last year since they have ramped up coal so fast in the last decade and they usually do not install exhaust scrubbers. The impact on their health care system has been significant in not just deaths, but in non-lethal health effects and lost days of work. 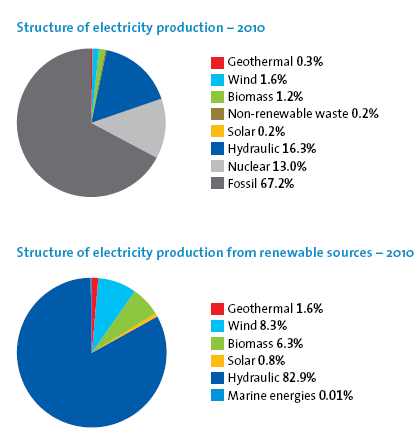 P. Bickel and R. Friedrich, Externalities of Energy, European Union Report EUR 21951, Luxembourg (2005). NAS, Hidden Costs of Energy: Unpriced Consequences of Energy Production and Use Committee on Health, Environmental, and Other External Costs and Benefits of Energy Production and Consumption; Nat. Res. Council, Wash., D.C. ISBN: 0-309-14641-0 (2010). C. A. Pope et al., Lung cancer, cardiopulmonary mortality, and long-term exposure to fine particulate air pollution. Journal of the AMA, 287 (9): 1132-1141 (2002). J. Scott et al., The Clean Air Act at 35, Environmental Defense, New York, www.environmentaldefense.org. (2005).